So, You Thought Spring Was The Best Planting Season? Well, not exactly and here are four reasons why you definitely shouldn’t wait until Spring. Let`s look take a quick scientific visit before moving on to the good bits. Both deciduous and evergreen perennial plants in our part of the world either go into dormancy or hibernation after November and then typically in April the leaves begin to emerge again. When they are in this state they cannot lose moisture as there are no leaves to allow this. This means that you can safely take a plant out of its pot, or even dig it out of the ground and have the roots dangling in the air in some cases with no soil at all. If you did this when the plant had leaves then it would die. Therefore, spring or summer is not the time to plant most plants as water loss through the leaves will occur when the plant hasn`t the ability to replace it. While on the science, there is one other important factor. Planting should be done as soon after leaf drop as possible. The longer you give the plant to establish its roots in its new position the better. Roots, although less active in winter don`t stop growing. If the plant is allowed to get its root system out of the pot and into rich soil way before the top growth (leaves & shoots) begins to demand the nutrients in the spring, then you will notice the difference. Don`t worry about frosty weather. The plants you are buying are probably sitting above the ground on shingle suffering the full force of the cold weather and are probably frozen solid. They are far better off in the ground insulated by the soil. Just make sure that you do the actual planting when the frost is out of the ground so that you can backfill the planting hole with a friable soil/compost mix. A professional gardener will buy plants and trees from wholesale plant nurseries. These nurseries, unlike garden centres will probably have the greatest amount of stock just before the planting season in the autumn/winter period as they`ve used the summer months to safely bring on new plants. 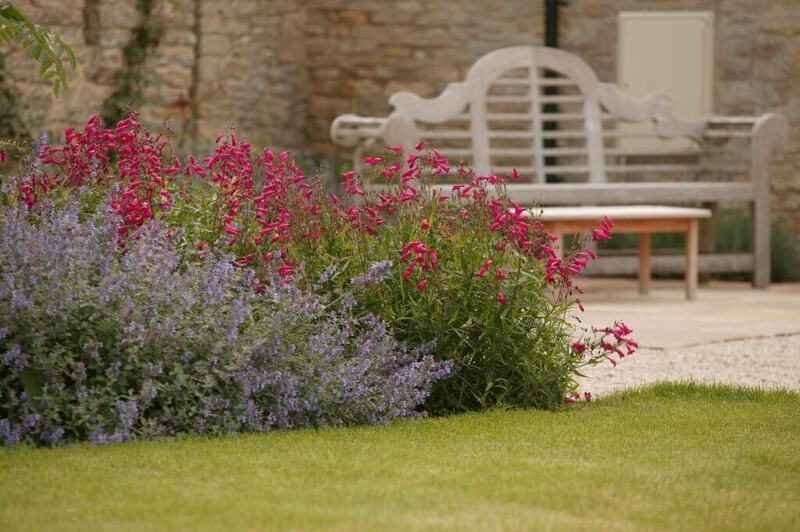 This allows the planting designer to develop a planting scheme with a full palette and without compromise. 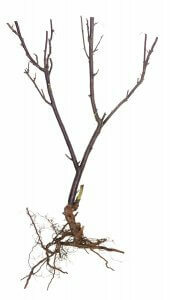 Trees, roses and most hedging should always either be planted `bare root` i.e. 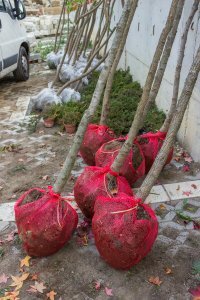 they are supplied without any soil during transportation or `root balled` where their roots are wrapped in netting securing some soil. Trees and roses bought in pots may have some root memory whereby the roots even when out of the pot continue to go round and round in circles which isn`t ideal. Nurseries that specialise in bare root trees and plants during the planting season are consequently flat out, unlike your local garden centre. Plants available during the planting season tend to be cheaper since bare root species haven`t had as much attention paid to their potted cousins so don`t carry the levy of the extra time the nurseryman has spent on them. 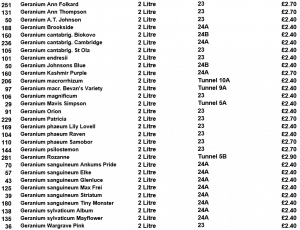 If you are buying your plants through a garden designer in Gloucestershire or a good landscape firm elsewhere then you`ll probably be allowed to benefit from the price differential between retail and wholesale prices from a nursery as pictured below. Just the available Geraniums Wholesale plant production from a wholesale nursery. Wholesale plants can be as much as a third of the price of retail so even with your professional`s mark-up you`ll be better off buying fresh, really good quality plants straight from the factory, so to speak as part of a design and planting package. 4. A better planting border. By bringing all the above points together, you`ll find that with a little bit of planning you`ll be able to create a fantastic new planting border. 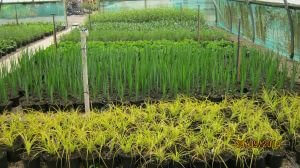 You`ll have fresh plants planted well in time for the big push in spring. If you find an experieced garden designer with particular skills to develop a planting scheme with you, you are set for an amazing new feature in your garden that will give you scent, colour, texture and attract the butterflies and wildlife bees into the bargain. Nick Dickinson of Elementa Design has been creating beautiful gardens for four decades now. 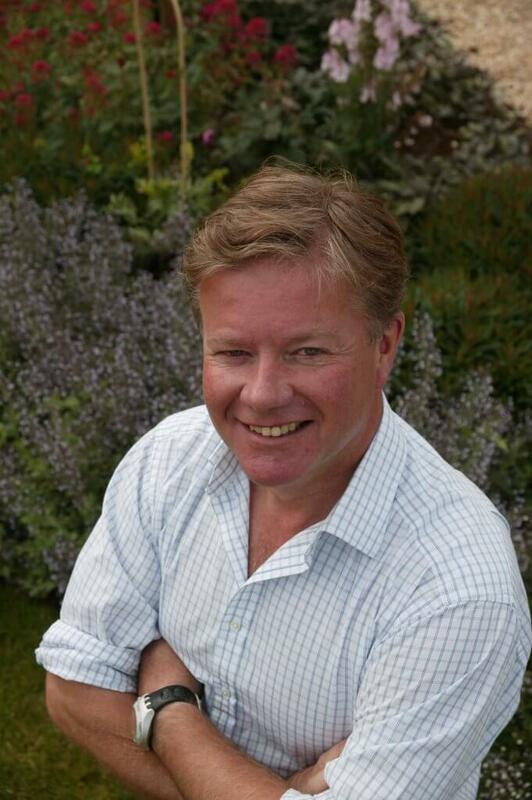 Nick is a much sought after plantsman and garden designer who is able to take a planting brief, however sketchy and transform your garden into something that will really stimulate the senses. or e-mail info@elementadesign.co.uk to book a free consultation now.